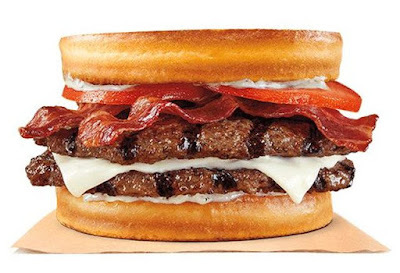 Burger King debuts another variety of the Sourdough King with the arrival of the new Bacon & Swiss Sourdough King. 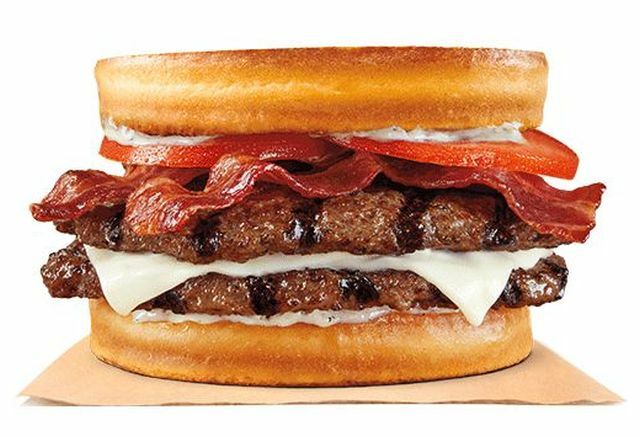 Available for a limited time at participating restaurants, the new sandwich features two flame-grilled beef patties for over a half-pound of beef (pre-cooked), three half-strips of thick-cut bacon, Swiss cheese, tomatoes, and creamy bacon-flavored sauce on toasted sourdough bread. The Bacon & Swiss Sourdough King joins the original Sourdough King and Sourdough Chicken Club on the menu.